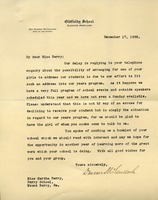 Martha Berry tells Mrs. McFadden of her plan to update the school's grounds. 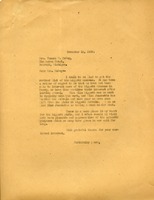 Duncan McCulloch informs Martha Berry that there is no room for her student to give an address, but still expresses his interest in the school. 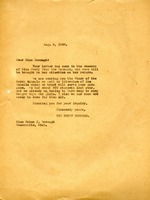 Martha Berry expresses her regret in not getting more interest from the Liggett alumnae. 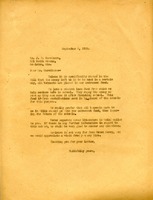 Miss Lee writes to whom it may concern at the school hoping to acquire some of the information she desires. 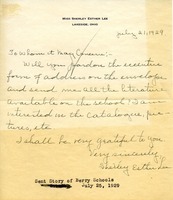 Martha Berry tells Mrs. Kerkhoff a little about Berry and lets her know some more information is on its way. 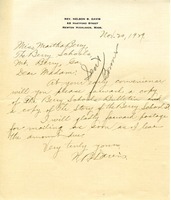 A representative from the Berry Schools explains that Martha Berry is currently absent from the schools and sends school literature the recipient had previously requested. 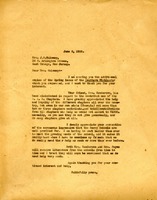 Reverend Davis asks Miss Berry to send him copies of The Berry Schools Bulletin and The Story of the Berry Schools. 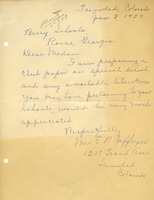 Miss Berry sends Mr. Denforth some literature about the Berry Schools hoping that he will find it interesting. 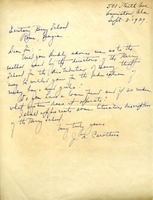 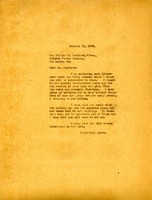 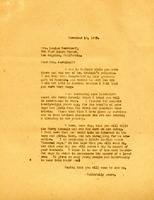 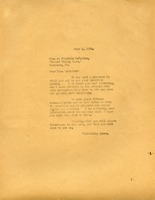 Carothers writes to ask for literature and information on the Berry Schools.